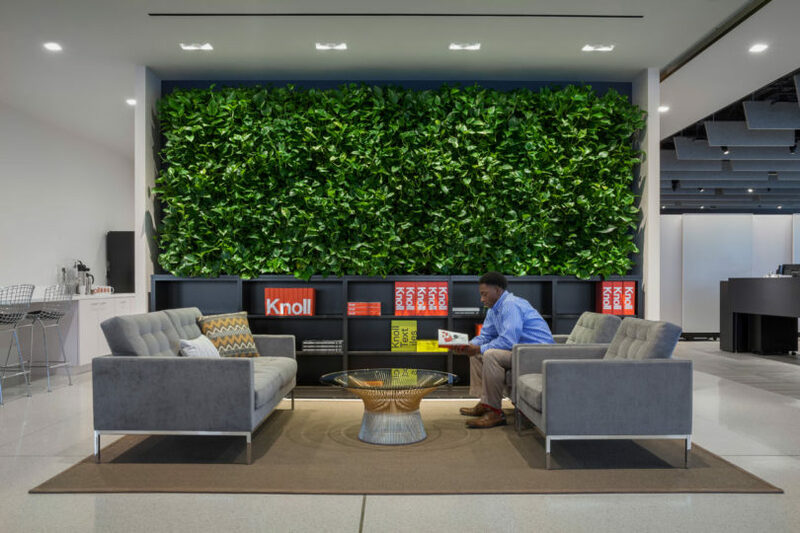 Architecture Research Office (ARO) were tasked with designing Knoll Los Angeles’ new office and showroom on the 29th floor of The Gas Company Tower in downtown Los Angeles. The interior displays a modern workspace that pays homage to the brand’s rich history with an open layout combined with private spaces, iconic furniture pieces, and Knoll textiles. The original Knoll NYC flagship sparked ideas for the west coast hub while incorporating a material palette that’s in tune with southern California.